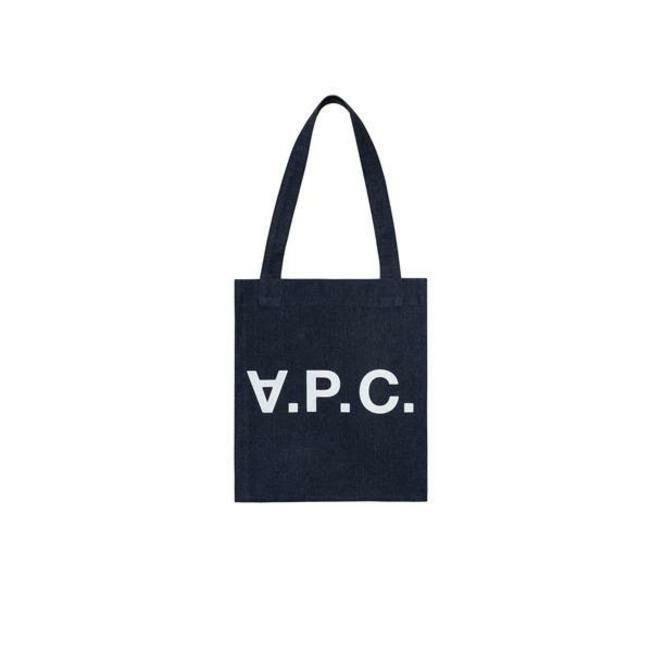 Unwashed A.P.C. denim tote bag. Large topstitched hem at top of bag. Two handles with topstitched X. May be carried on shoulder or by hand.